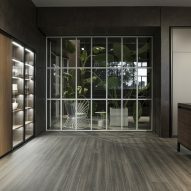 Six months after taking over the creative directorship of Molteni&C and Dada, Belgian architect and designer Vincent Van Duysen has revamped the brand's corporate showroom in Giussano, Italy. 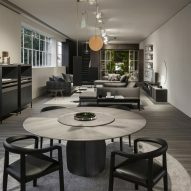 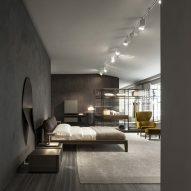 According to Molteni, the new interior combines Van Duysen's northern European background with "Mediterranean nuances and a genuine passion for Italy". 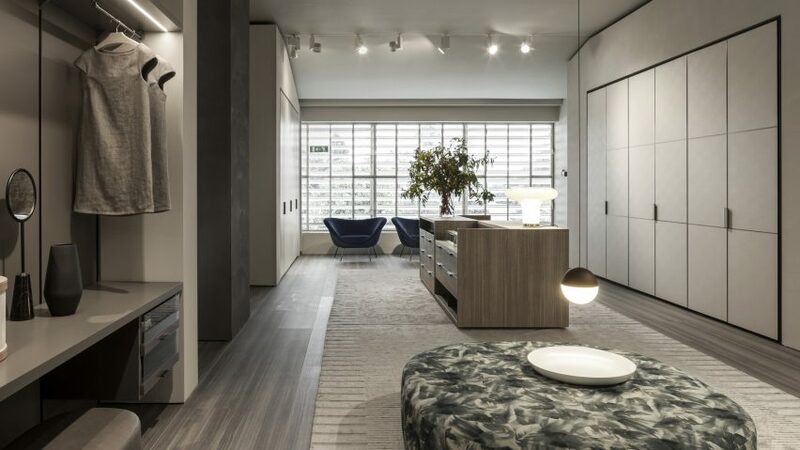 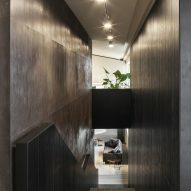 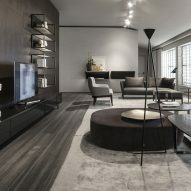 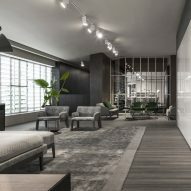 The 2,700-square-metre space is styled to resemble two separate contemporary homes, connected by a staircase in the middle of the showroom. 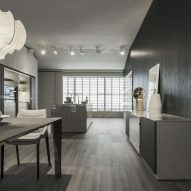 Dark woods and shades of grey dominate the space, which also houses the Molteni Museum that opened in November 2015 on the top floor. 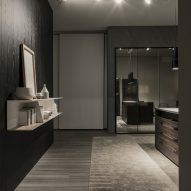 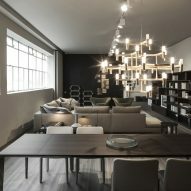 Glass, oxidised wood, resin and Ceppo stone are widely used in the finishings. 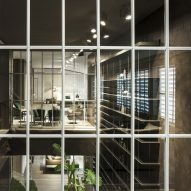 Throughout the rooms are large windows with gridded frames – elements that also feature in Molteni's new advertising campaign. 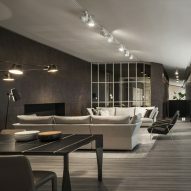 The building was constructed in the 1950s as a wood-drying area within the Molteni Compound, located in the Lombardy countryside. 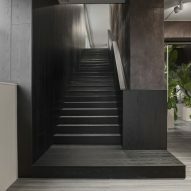 It was later converted into a showroom by architect Aldo Rossi and renovated again by Studio Cerri & Associati in early 2000. 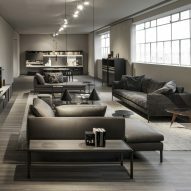 Van Duysen was appointed creative director of Molteni and its luxury kitchen brand Dada in April 2016. 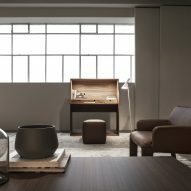 It followed a spate of new, international leadership appointments at Italy's major design brands, including Patricia Urquiola to Cassina and David Chipperfield to Driade. 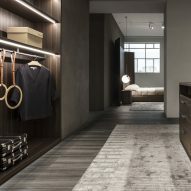 At the time, the brand's head of marketing and communication, Giulia Molteni, said the appointment would help the family-run company distinguish itself from other Italian brands. 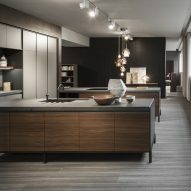 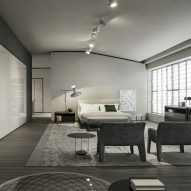 "I think Vincent will give us a more sophisticated look, a bit of northern European minimalism that Molteni needs," she told Dezeen. 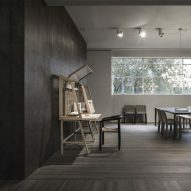 The showroom renovation marks the designer's first project with the brand since stepping into the role. 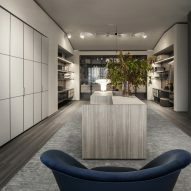 Van Duysen is known for his minimalist style across architecture, interiors and design projects, including Aesop's Hamburg store and a number of Belgian farmhouses.